What is CTC Frimley Park? CTC Frimley Park is the national cadet training centre based in Frimley, Surrey. We offer a variety of developmental and qualification courses to Cadet Force Adult Volunteers (CFAV’s) primarily from the Army Cadet Force (ACF) and Combined Cadet Force (CCF) but places are also allocated to the other MOD sponsored cadet forces on some courses. In addition, CTC Frimley Park provides training to the most senior cadets of the Army’s Cadet Forces through the Master Cadet course and runs the annual Champion Cadet Competition to determine the best ACF cadet in the country. A unique team of Full Time Reserve Service (FTRS) soldiers and CFAVs make up the permanent training team at Frimley Park which provides a well-balanced approach to training with input from a wealth of different experiences and backgrounds. In addition, training is ably supported by a dedicated cohort of Assistant Directing Staff (ADS) which is made up of past students from across the cadet forces and who support training delivery on an ad-hoc basis. Alongside the busy course programme the training team conducts two adventure training (AT) expeditions each year; one in the summer and one in the winter. After a very successful first winter AT exercise in January 2018 the chain of command at Frimley Park saw fit to launch another the following year in order to continue to build on the achievements of the first. In the early hours of 2nd February 2019 the ten attendees and two instructors departed from London Heathrow to embark on their second Winter AT exercise; this time to Méribel in France. 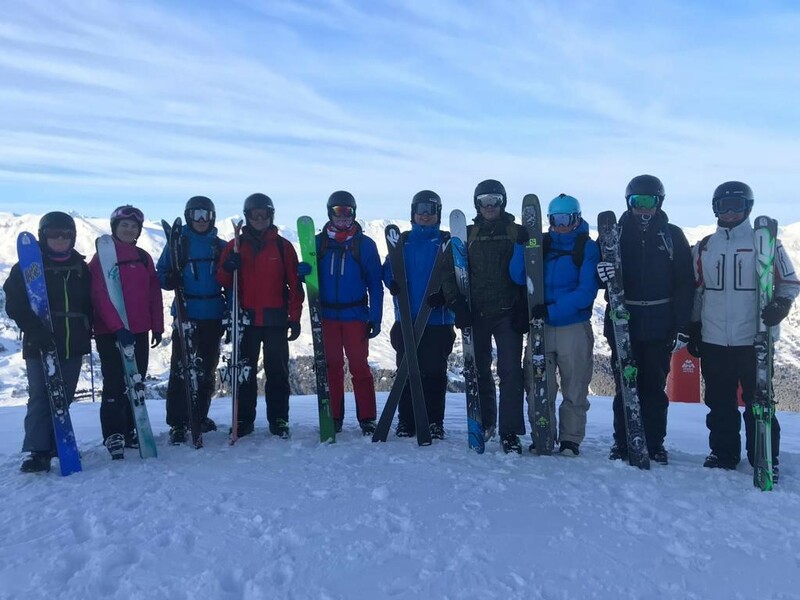 The team was split into two main ability groups according to their skiing experience and the training they had completed the previous year. 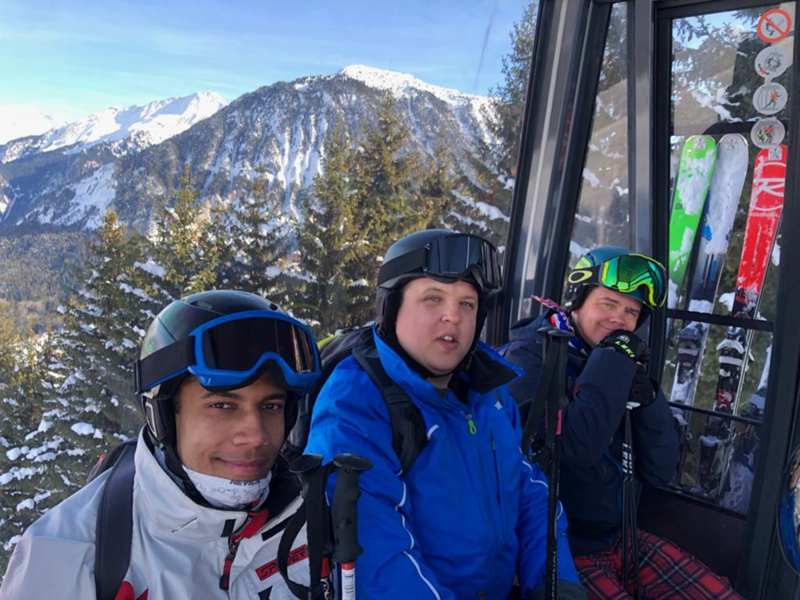 One group would be working towards Ski Foundation Level 1 (SF1) whilst the other group, having completed SF1 the previous year, would work towards Ski Foundation Level 2 (SF2). The start of the course was slightly hampered for some by a problem loading some of the luggage onto the flight. However, once everyone’s luggage had arrived the training could start in earnest. Both SF1 and SF2 are tough courses designed to encourage participants to push themselves out of their comfort zone but nobody expected the conditions that greeted them on the first day. Prior to arrival and on the day of travel the conditions had been excellent. Lots of fresh snow in the run-up to the exercise and clear skies on the travel day was practically ideal. However, on the first day on the slopes, the conditions took a turn for the worse. There was very heavy fog and the clouds rolled in making visibility very difficult. At times the skiers couldn’t see the edge of the piste or more than a few feet ahead. When revisiting one particular location later in the week in transpired that they had been surrounded by chair lifts, restaurants and buildings but, as none of this was visible, they thought they were on a barren mountain top. 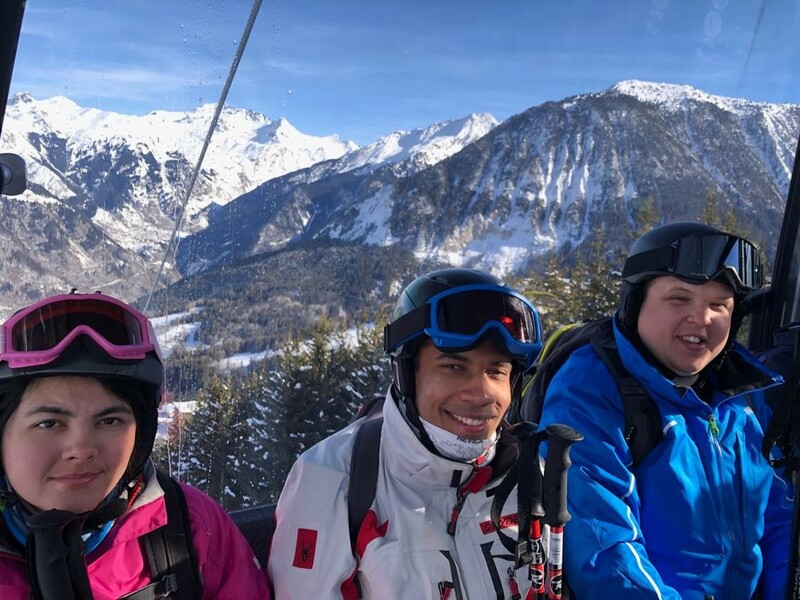 Under the guidance of the instructors, the skiers were able to navigate their way around the resort safely and get a good first day under their belt. Fortunately for the remainder of the exercise, the weather stayed much clearer with only the occasional snowfall or low-light period with mostly brilliant sunshine every day. These conditions were excellent for both the beginners and the veterans in the group alike allowing everyone to benefit hugely from the knowledge and experience of their instructor. 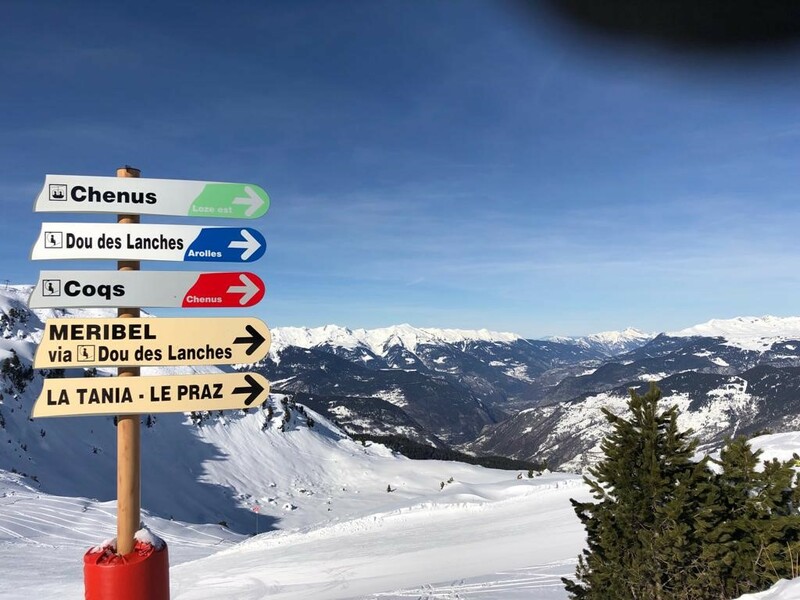 As the week progressed both groups ventured further and further afield across the Three Valleys ski area exploring Mérible, Courchevel and Val Thorens quite thoroughly by the end of the week. As the skiers found their feet and improved their technique the instructors would select more difficult terrain to keep the level of challenge quite high. 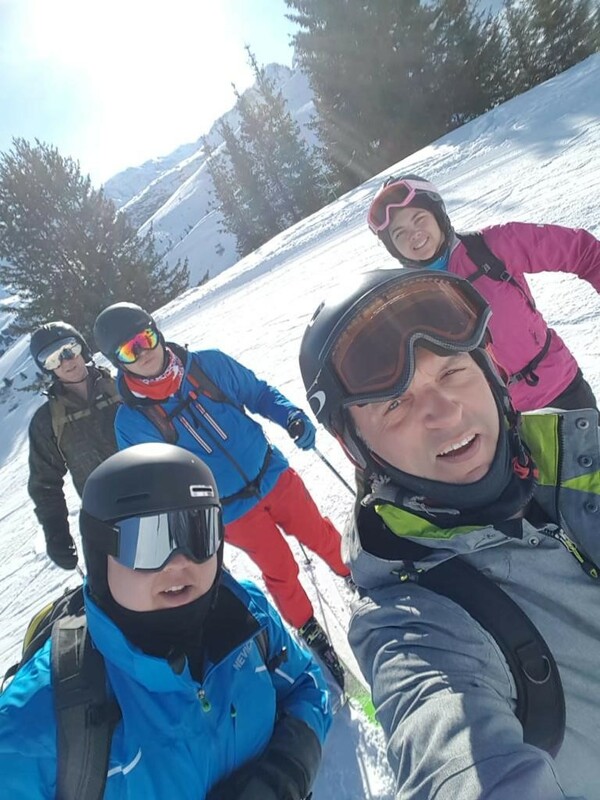 This proved to be effective with the SF2 group spending a lot of time off-piste and on red or black runs with the SF1 group all being able to competently ski blue runs and even taking their first foray into off-piste skiing by the end of the course. The physical nature of skiing played a big part in the challenge of the exercise. In particular, towards the end of the day when, if your legs were getting tired, it could take a lot more effort and concentration to keep control of the skis. It’s safe to say that by the time the evening came round every one of us welcomed the thought of a shower, a drink and a sit-down. Unfortunately, due to the problem with the luggage at the start of the week, the SF2 group ran out of time and were not able to complete all of their training objectives to pass the course. 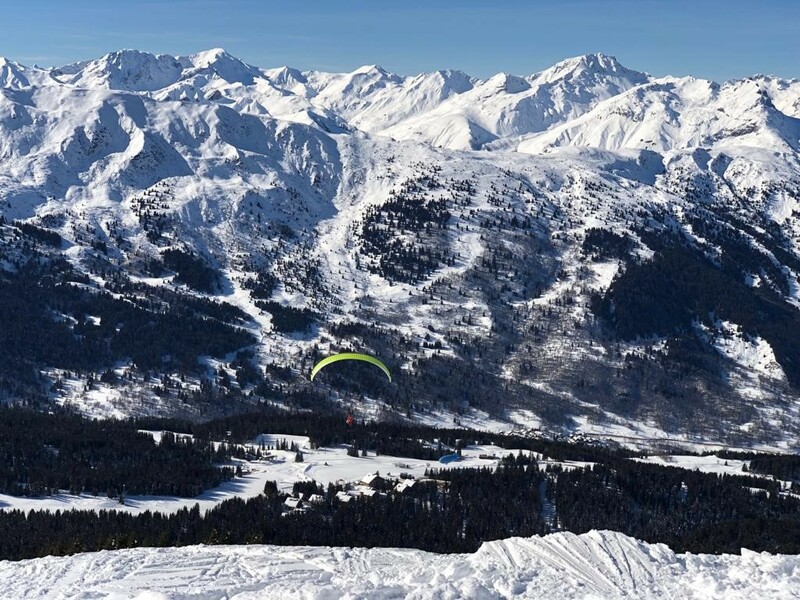 However, their time in Méribel was not wasted and instead counted as SF1 continuation training for all involved. The SF1 course improved significantly across the week and everyone, including the complete beginner in the group, was able to meet the required standard to pass SF1. Whichever course they were on everyone found the exercise challenging, demanding and rewarding and we all went away better at skiing and more experienced than we were at the start. The exercise provided the opportunity for team building and personal development outside of the work environment which is essential for any team that works as closely and as relentlessly fast-paced as Frimley Park. 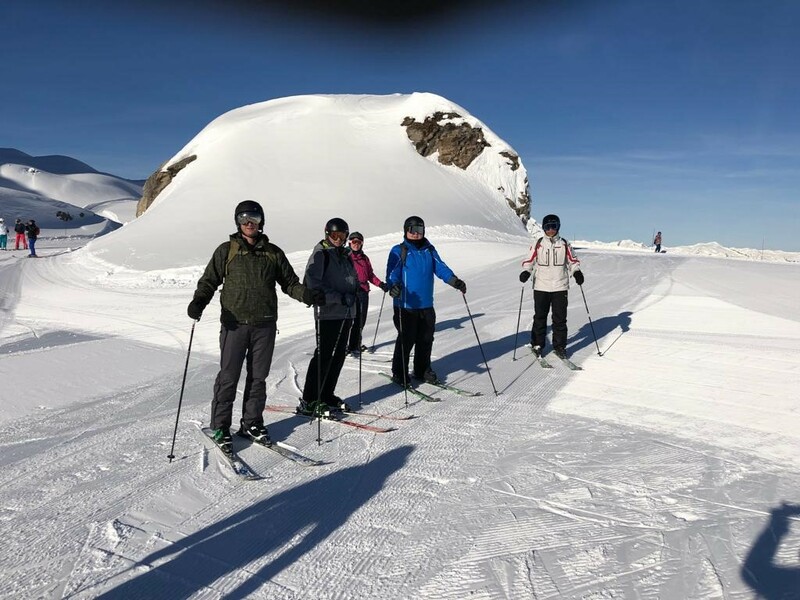 In addition, the challenge and adventure of a skiing exercise breaks the cycle of courses week after week leaving the training team invigorated and refreshed enabling them to better serve the CFAV’s and cadets they train. “As someone who isn’t particularly fit, tiredness was a huge challenge for me. 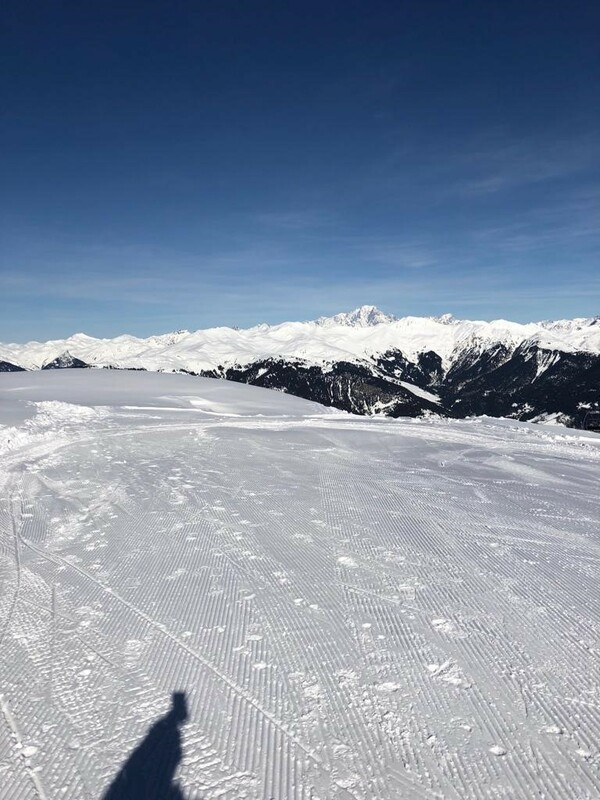 I often found it difficult to keep going and would stop at the side of the piste mainly through fear of losing control and injuring myself or someone else due to being tired. As the week went on I grew in confidence and my skiing ability improved to the point when, on the fourth day, I had a moment of determination and threw myself into it 100%. I tried to remember all of the exercises and drills we had covered and to implement everything my instructor had taught me whilst ignoring the tiredness in my legs. Afterwards, the instructor told me that it was the best I’d skied all week and that I looked like I’d been skiing all my life!